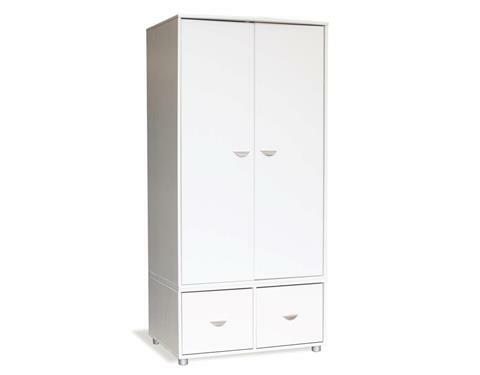 Full height 2 door wardrobe with 2 equal sized compartments in the base of the robe with room for even more clothes or toys. Attractive unisex design which works well for boys and girls. Made from hard-wearing durable MDF treated with smooth white finish.